Launch a Tutor Doctor franchise with 8-mo-old twins? Be solely responsible for the money now flowing into her account? Find a satisfying balance between motherhood and mompreneurship? Read how she has made it all happen in less than six months and the surprising lessons she’s learned along the way. Just last year, Adrienne Pierce welcomed twins into her world! Like many moms after three months of maternity leave, she didn’t want to be away from her babies, but she also craved adult interaction and couldn’t wait to get back to work. Adrienne also knew that, when she did return to work, she didn’t want to go back to a corporate office job. So, she went shopping. Adrienne started looking for franchise opportunities through a broker because she knew she wanted what corporate couldn’t offer: schedule flexibility, high margins, time at home with her babies, and to be able to afford daycare to help socialize them – and for an occasional, well-deserved Mommy’s Day Out. Her broker recommended Tutor Doctor – not her first choice, Adrienne admits, because she wasn’t interested in teaching or managing people. 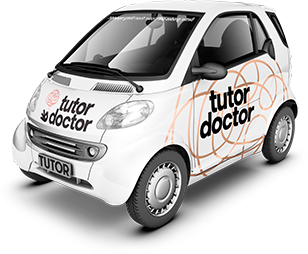 But she dove deeper into the Tutor Doctor concept and realized the franchise would empower her to work from home and give her access to immediate cash flow. She says she was attracted by the low initial investment and strong economics, and when she saw there were only a few remaining territories near her Houston home, she jumped on the opportunity. Armed with a seemingly endless supply of supermom energy, Adrienne launched her Tutor Doctor franchise in mid-August – with a pair of 8-month-olds. She laughs about it now, but Adrienne says her first few months as a franchise owner were rough. She was convinced she could run her business successfully – but it wasn’t going as smoothly as she expected. Adrienne says it took weeks of hearing the same advice from her Launch Support Specialist and the Tutor Doctor corporate team over and over again before she got the message – she says they were persistent and always professional. And once she decided to go with the flow instead of trying to reinvent the wheel, she says, “the money started coming in.” She put her trust in the Tutor Doctor team – and nearly doubled her 180-day goal. Adrienne has discovered exciting similarities between her mom life and her entrepreneur life. Specifically, she’s found that having access to a network of experienced and like-minded people makes both jobs a lot easier.